This World Book Day, Thursday 1 March 2018, Premier League Primary Stars is offering primary schools across England and Wales a whole host of ways to get pupils excited about reading. Whether you’re already registered with Premier League Primary Stars or thinking about getting involved for the first time, here are a few ways to get started. Tweet us a photo of how your school is celebrating World Book Day using #PLPrimaryStars. One lucky school will receive a very special video message from Jamie Johnson author Dan Freedman! Whether you’re new to PLPS or already registered, you could boost your bookshelf with a free book box stuffed with 15 fantastic titles, or reward learners with a reading progress poster and sticker pack in our World Book Day prize draw! If you’re not already registered to Premier League Primary Stars, register on World Book Day to take part in our prize draw. 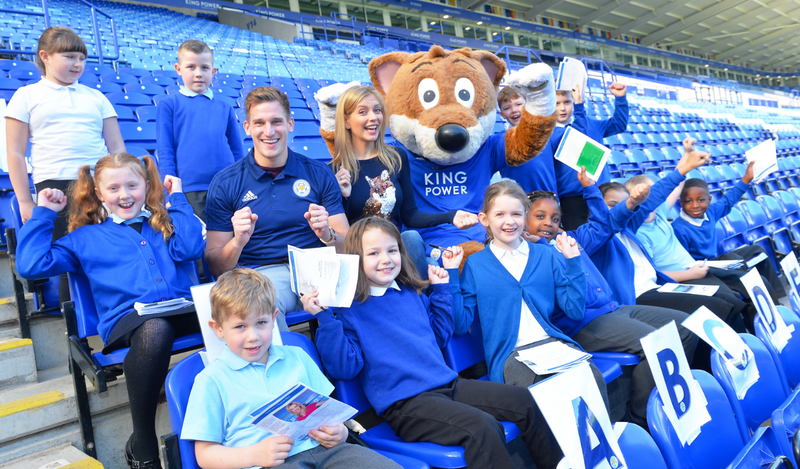 Registered schools are also in with a chance to win when they sign up to Premier League Reading Stars, our literacy intervention for reluctant readers. Sign up now to be in with a chance of winning one of the 40 World Book Day prizes on offer! What’s going on at clubs around the country? Some of the Premier League, English Football League and National League clubs running Premier League Primary Stars up and down the country will be celebrating World Book Day with fun activities and unique learning opportunities for local schools. Staff, trustees and club mascot Lofty the Lion will take part in a World Book Day-themed fashion show catwalk at one lucky partner school. A specially selected panel of pupils and first team players will then be tasked with judging the contest to find the best-dressed Trotter. Cambridge’s mascot Marvin the Moose has been in touch with schools in the Cambridge area, hoping to find the best letter writer. The winning letter will receive a visit from Marvin and a first-team player on World Book Day, as well as book-related prizes for their school. Doncaster Rovers’ club mascot Donny Dog will be out delivering free sets of football reading books to all partner schools. Pupils will get the chance to meet Donny and will enjoy a host of reading activities on the day. Players from the clubs Elite Development Squad and Women’s Team will visit E-Act Academy for a City Stars Literacy lesson, where the class will watch part of a Manchester City game and write a live commentary report as well as a Q&A with the players. Staff and coaches from Newcastle United will be celebrating the day by donning costumes of their favourite book characters – look out for surprise guests in your local area! Author Rhona Whiteford will join Preston North End’s partner schools to deliver mini workshops that will see pupils explore their inspirations, their motivations and their love of reading and writing. Rhona will also help pupils as they develop their own characters and build them into original stories. The Saints Foundation have launched a World Book Day challenge for all KS1 and KS2 pupils in the area asking for children to design a bookmark. The winning design will have their bookmark created for real! 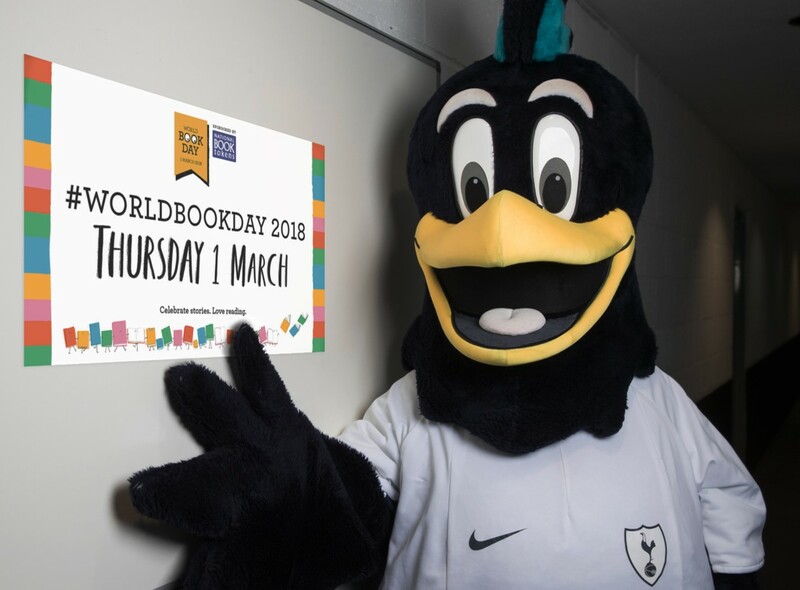 Throughout February and March, Tottenham Hotspur will be taking under-18 academy players to local primary schools with professional storyteller Tony Dallas to read with children in years 2 and 3. Local schools will also receive book boxes, extra reading sessions and assemblies on the importance of reading. Is your school set for a fun World Book Day full of imaginative activities? We’d love to hear about how you’re celebrating the day! Share your pictures using #PLPrimaryStars and one lucky school will receive a special message from Jamie Johnson author Dan Freedman!